Who is your top pick in today's big race at Pimlico in the second jewel of the Triple Crown? 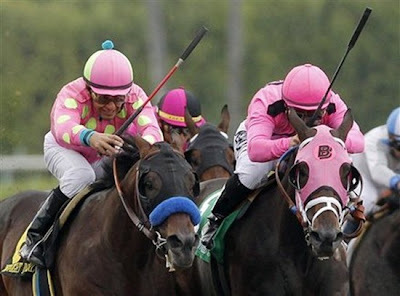 Although I try to make picks based on statistics, I can't help but look at names and the colors of the silks. Midnight Interlude is a good horse and has a strong record. And with pink and green polka dot silks, what more do I need to make a pick? 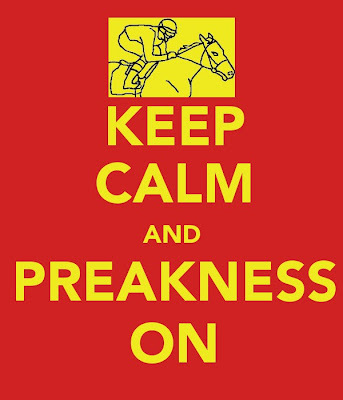 Read more about the history of Preakness and Pimlico in a special blog edition. I choose to cheer for Midnight Interlude SOLELY on the fact that the jockey had pink with lime green polka dots!